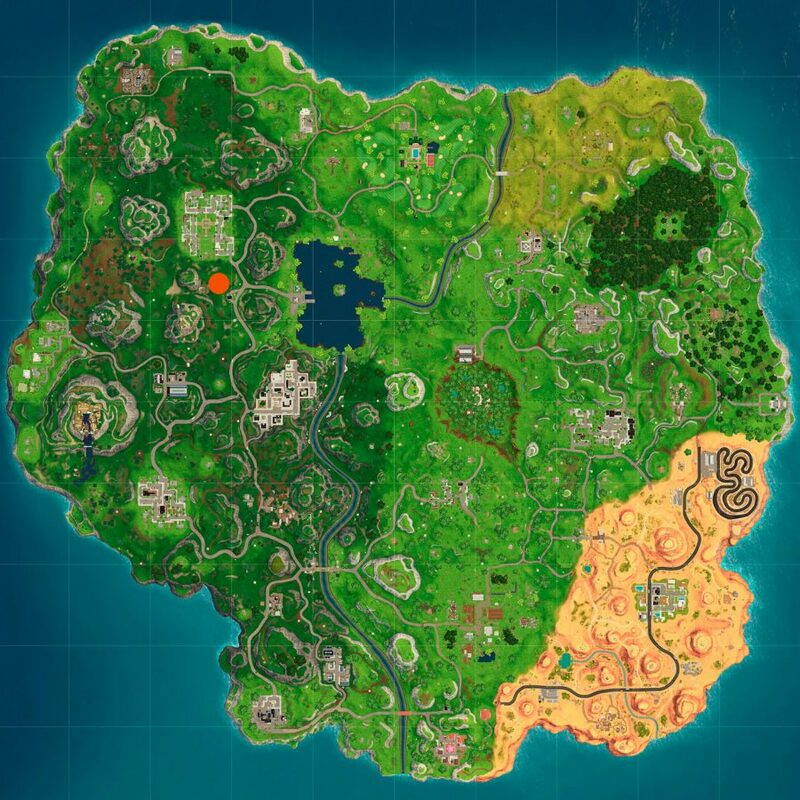 If you want to fully complete your Fortnite weekly challenges, you’re going to need to successfully search between a gas station, soccer pitch, and Stunt Mountain in order to win yourself ten juicy battle stars. Seasoned challenge hunters will be well aware of the drill by now: there are three points of interest on the map and the solution lurks somewhere in between the three locations. And, for this week, you need to search between a gas station, soccer pitch, and Stunt Mountain to help you progress through the battle pass. 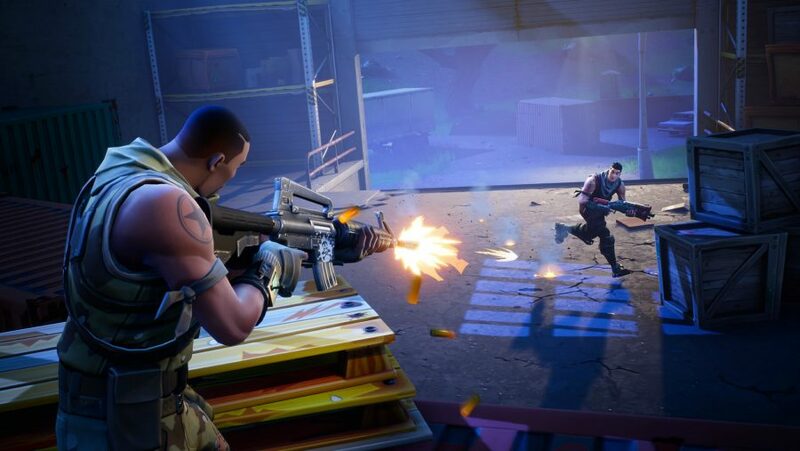 Of course, on top of this Fortnite search between challenge there are plenty more objectives where that comes from, so make sure you check in with our Fortnite week 4 challenges guide for that, which includes a helping hand with all the Fortnite Flaming Hoops locations through which you’ll need to jump with either the Shopping Cart or All Terrain Kart. For now, let’s get back to business, here how to complete your Fortnite search between a gas station, soccer pitch, and Stunt Mountain. 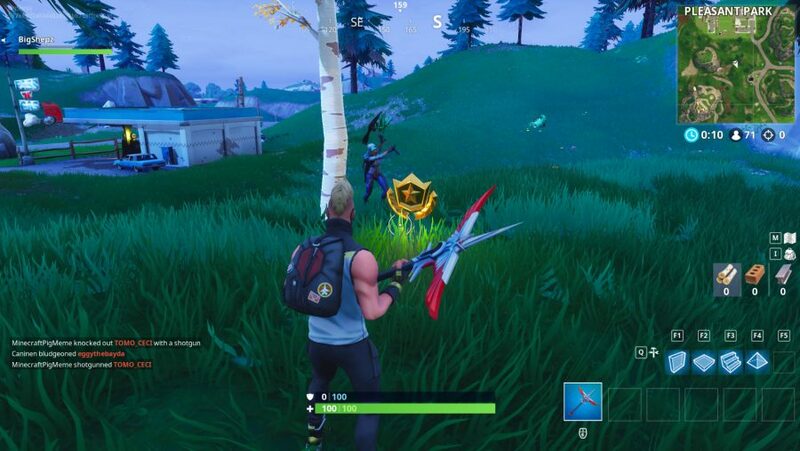 You can see the Fortnite search between location in the screenshot above to find the hidden battle star. It is just south of Pleasant Park and north west of the Gas Station.